Austin Giorgio sings his cover of “How Sweet It Is” on The Voice Season 14 Blind Audition on Monday, March 5, 2018. Blake and Kelly turned their chairs for Austin in the last minute of his performance. “I can feel that you’re performing coz I feel you moving around,” said Adam Levine. “You have this your beautiful presence,” said Alicia Keys. 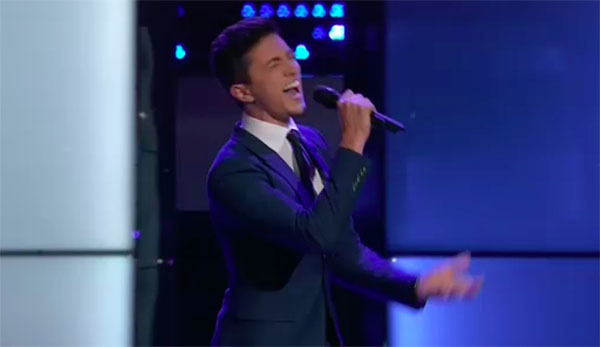 Austin Giorgio joins Team Blake Shelton.